Harcourts Sheppard Property have 3 offices based at Torrensville, Glenelg and Seaton. We cover the metro area of Adelaide with a team of about 20 Agents working for you. We can offer all methods of sale and have 2 of the top 3 Auctioneers in Australia for Harcourts working for us. 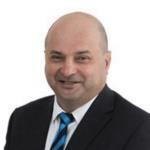 Tony has come from a building industry background and opted for a change to real estate in 1998. He is one of the leading agents in the Western Suburbs and one of Harcourts high achievers receiving continued awards and acknowledgements at most quarterly and annual awards evenings. The Western Suburbs are all too familiar to Tony as he was raised and went to school in this area. He understands what it is like to be part of this changing and evolving community. He has built a strong rapport with the local residents and possesses the knowledge and passion to communicate the highlights and benefits of living in some of the most sought after locations in Adelaide from his first hand experiences in the industry. It is his passion and knowledge of the local area and Tony’s outstanding negotiating skills along with his ability to stay up to date with the latest trends that helps his vendors achieve great results. Determination and enthusiasm encompass, Tony’s mature approach to real estate along with his attention to the finer details ensuring his clients receive outstanding outcomes each and every time. There is no doubt that our vendors are winners when their homes are show cased under the Harcourts Sheppard Property banner, further enhancing vendors exposure to a wide range of mediums through Harcourts networks and the name that is respected both nationally and internationally throughout the industry. When selling your property it is important to cover off on a few points to tailor a selling strategy and a marketing plan to suit your individual needs. We offer different packages for all budgets and different methods of sale.